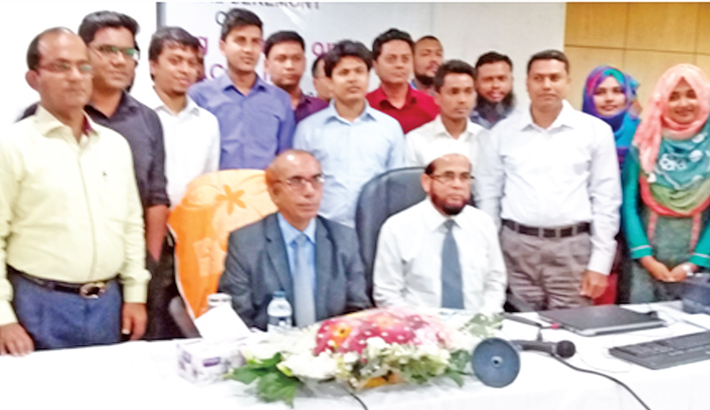 Bangladesh Development Bank Managing Director Manjur Ahmed poses for a photo with participants of a training course at its training institute in the capital on Saturday. Bangladesh Development Bank Limited (BDBL) organised a training course on “BACH-II” at its Karwan Bazar training institute in the capital on Saturday. Managing Director, Manjur Ahmed, inaugurated the course as chief guest, said a press release. Head of training institute Deputy General Manager Mohammad Nuruddin and concerned officials of the bank were also present on the occasion.